The countless hiking trails invite you to leave your car behind and enjoy the relaxing nature and clear mountain air on foot. 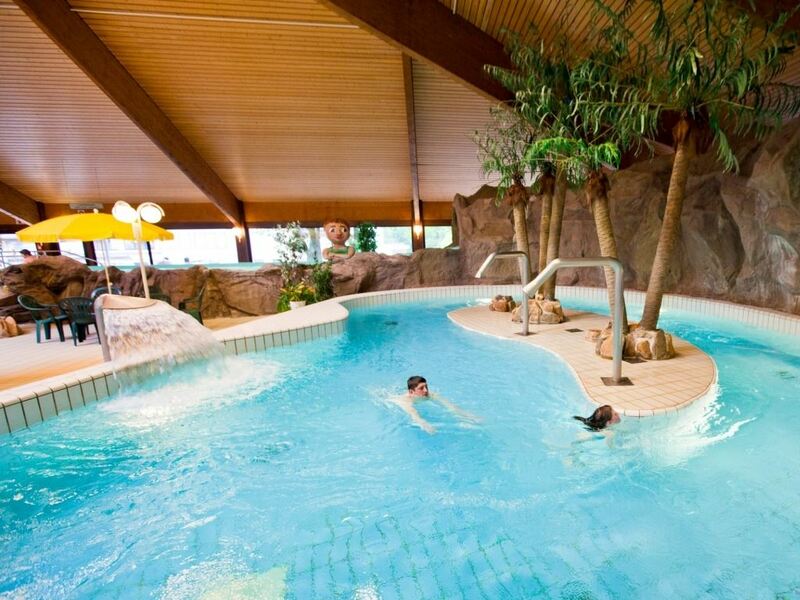 Relax in the sauna area with ice grotto in Bad Sachsa. 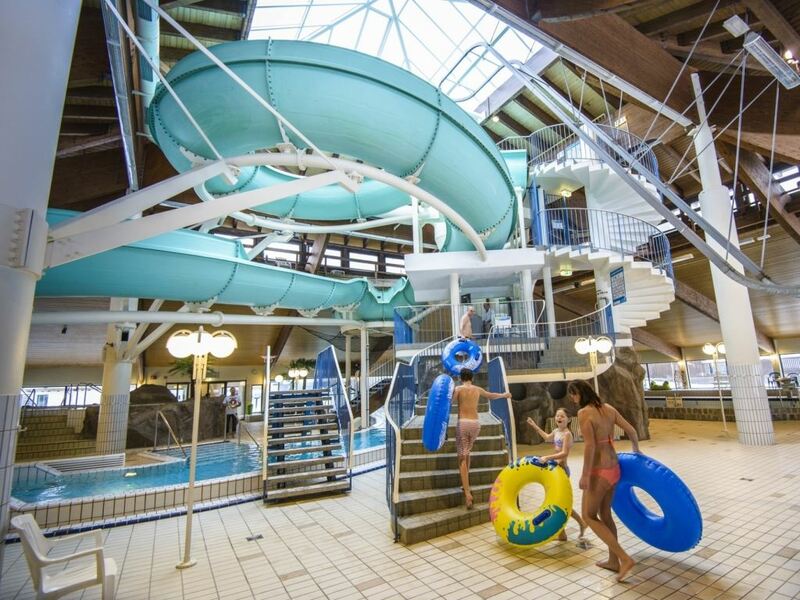 The children will live it up on the water slide and in the wave pool. Don't forget to discover the Harz, because this area holds many cultural gems and there are many activities available. 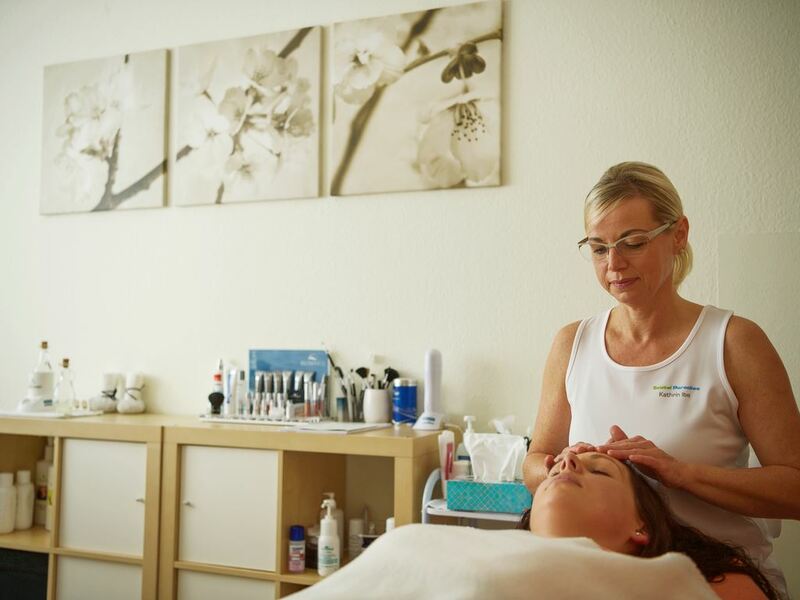 For example, visit the 'imperial city' of Goslar or the UNESCO city Quedlinburg. 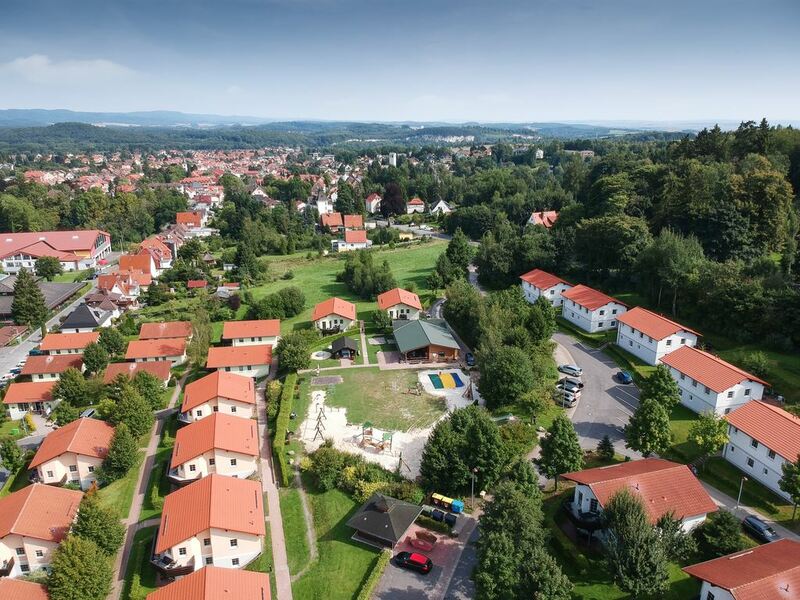 Just a couple of hours' driving and you will find yourself in play paradise Landal Salztal Paradies, stunningly located at the edge of Südharz. Swimming, mountain biking, hiking - so much to do for the whole family. Super cool! It's holiday time! A lot of time to spend together, playing games, splashing in the Water Adventure Park, and especially just relaxing and enjoying. 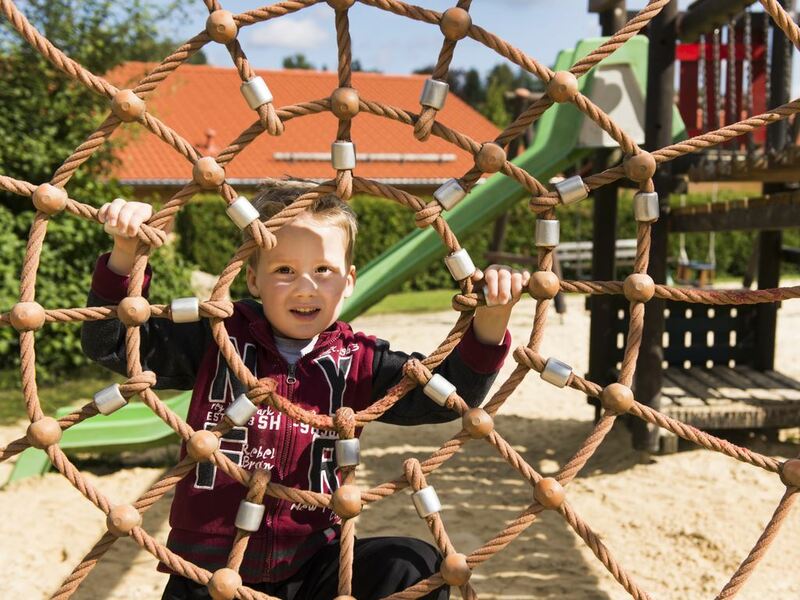 At this child-friendly park, there is something fun to do and discover for everyone. Are you coming on an adventure? 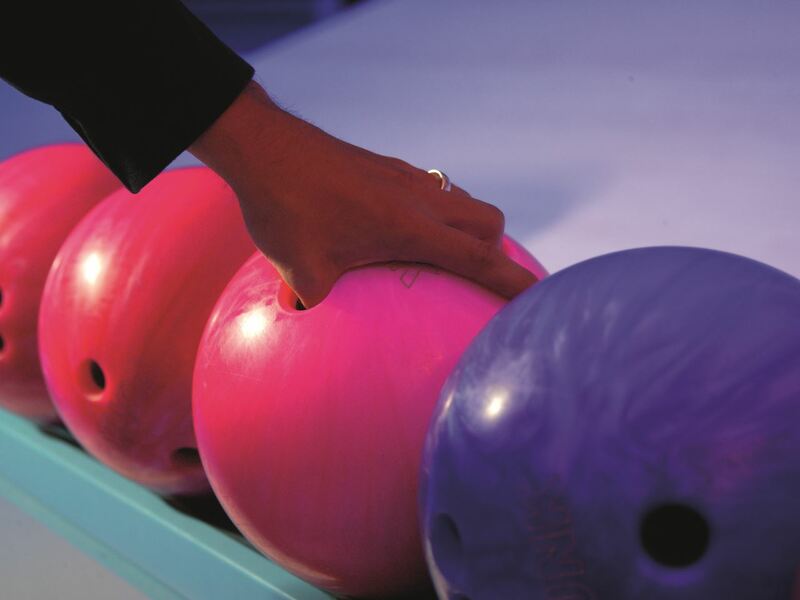 All prices exclude € 27.50 reservation fee, obligatory: bed linen € 7.95 p.p., cot linen € 6.95 p.p. and tourist tax from 13 to 17 years € 1.30 p.p.p.n. 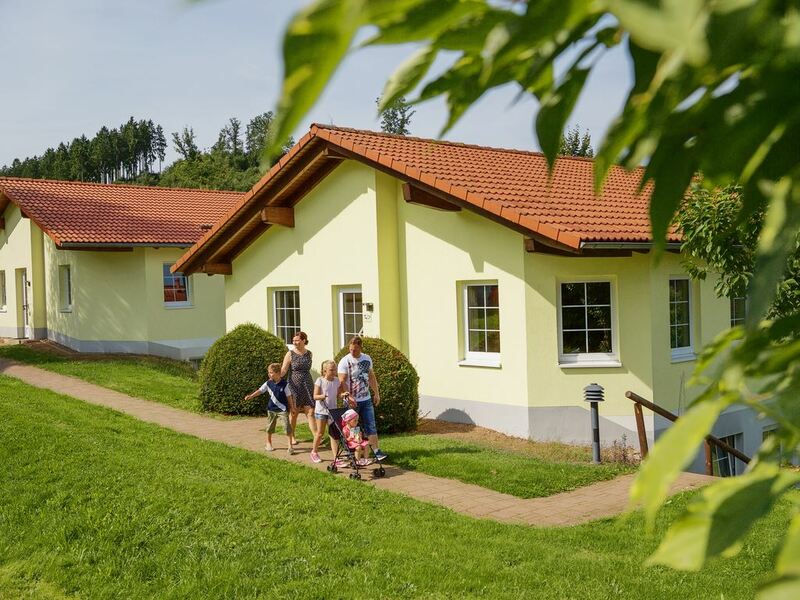 and from 18 years € 2.60 p.p.p.n..
At Landal Salztal Paradies, you will stay together with your faithful four-footer in a special dog bungalow that has a plastic dog basket, a bench and a height-adjustable food and drink feeding containers. The enclosed garden means that the dog can safely go outdoors. There are facilities for dog and owner. Discover the surrounding area van Landal Salztal Paradies. Discover the surroundings on foot, by bicycle or jump on a mountain bike. Kilometres of nature await you. Stroll through the impressive UNESCO cities of Goslar and Quedlinburg. 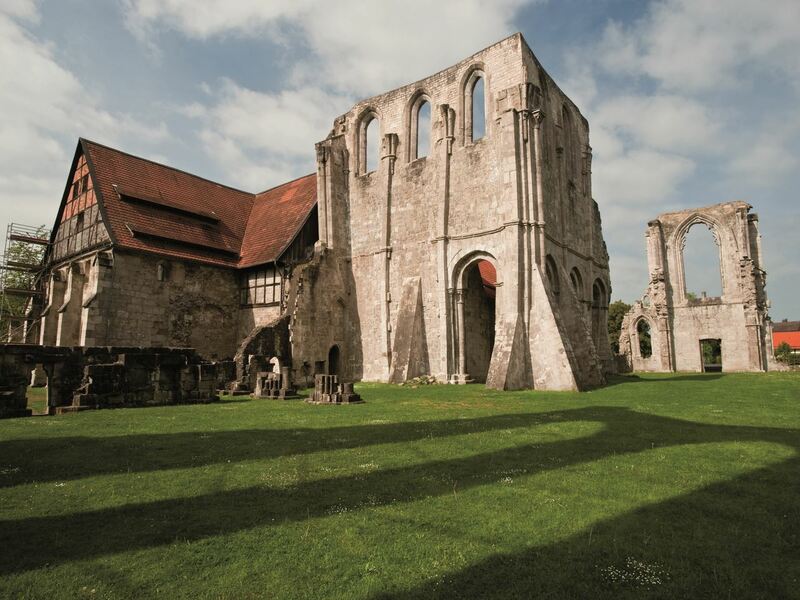 Picturesque medieval cities, castles and remains of historic mining. 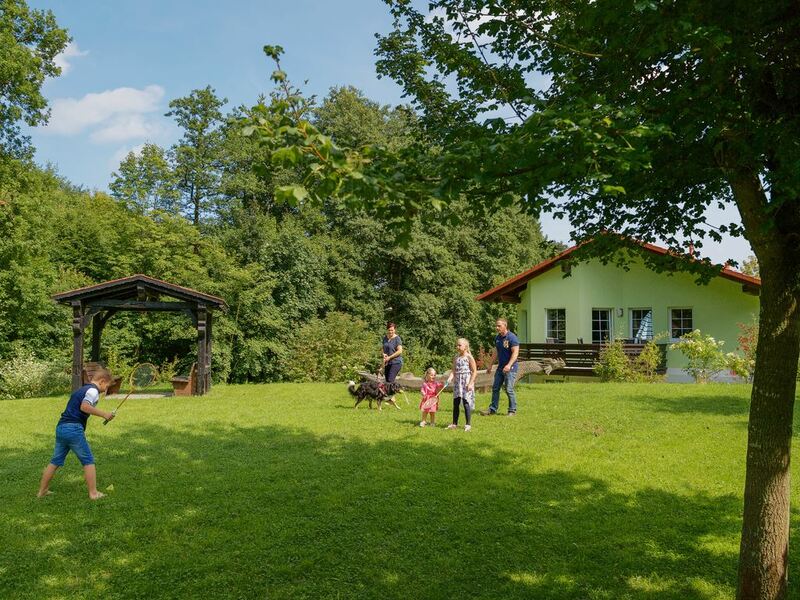 This year our park Landal Salztal Paradies was awarded the HolidayCheck certificate 2017! We are delighted with this award. Have lots of adventures, enjoy the beauty of the highest highlands in northern Germany and experience an unforgettable holiday feeling. 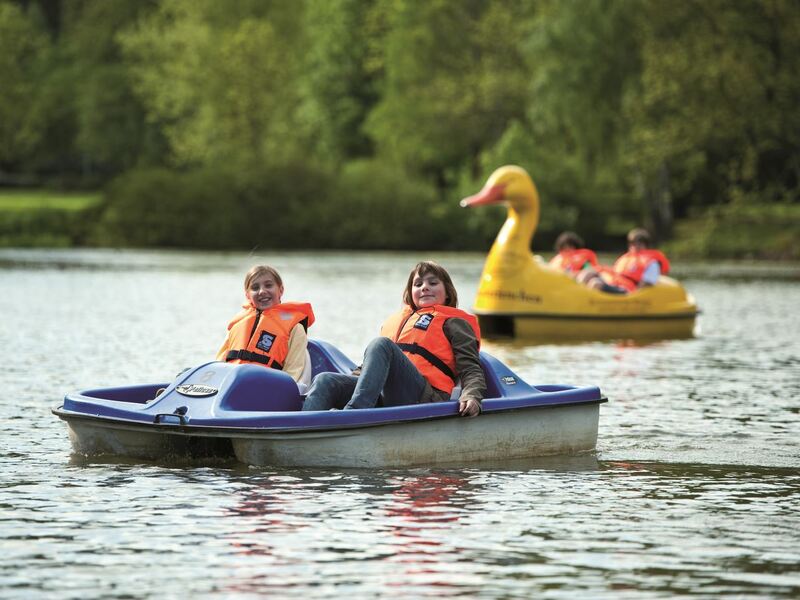 Pack your swimming gear and head to the Water Adventure Park! Slip down the slide on an inner tube, float down the wild water canal or get that ocean feeling in the wave pool – a real swimming experience for the kids. You can relax in the whirlpool as well as in the sauna and wellness landscape. 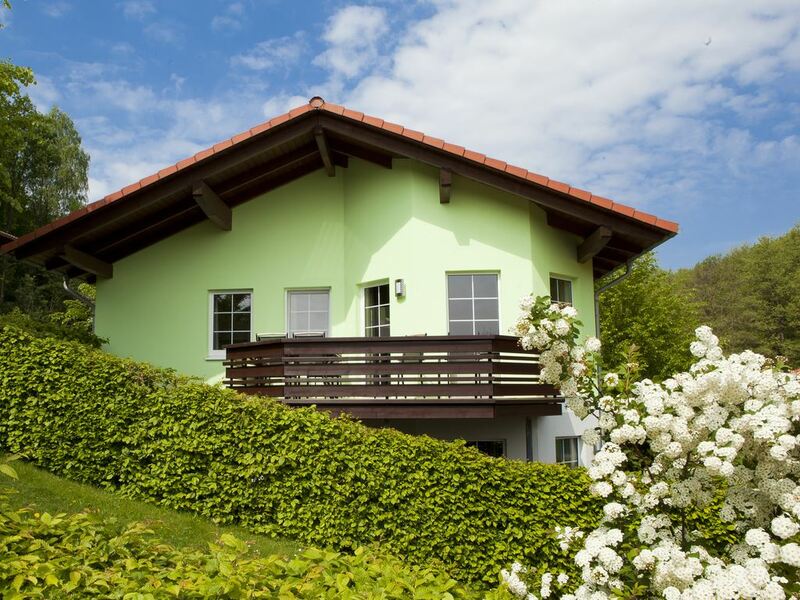 Landal Salztal Paradies is Green Key certified! This is the international quality mark for sustainable businesses in the hospitality sector. As well as looking after our guests' comfort and making sure the quality of their stay is excellent, we also do our bit for nature and society. 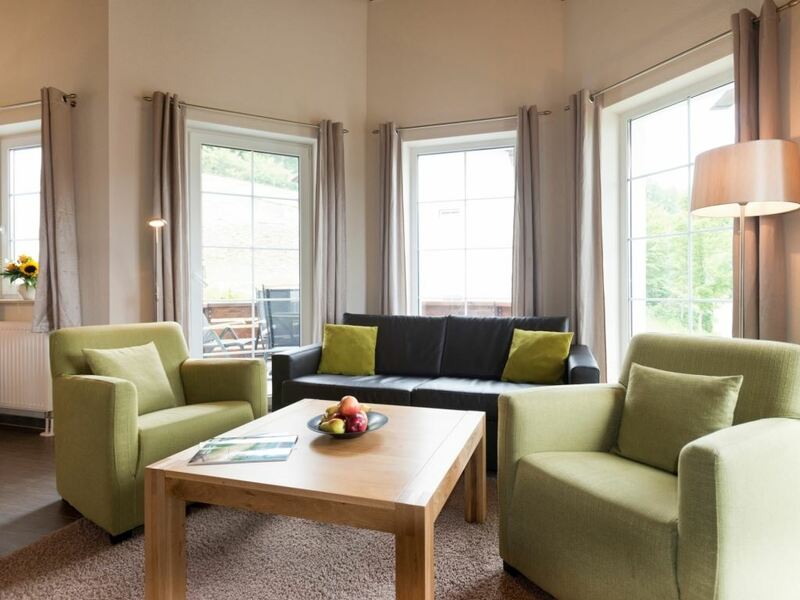 Landal Salztal Paradise is close to the family-friendly ski area of the Harz. This magnificent area with snow-covered mountains and woodlands is especially suited for various winter activities. The excellent network of paths are great for a hike through the winter landscape. Ideal for a wonderful holiday.